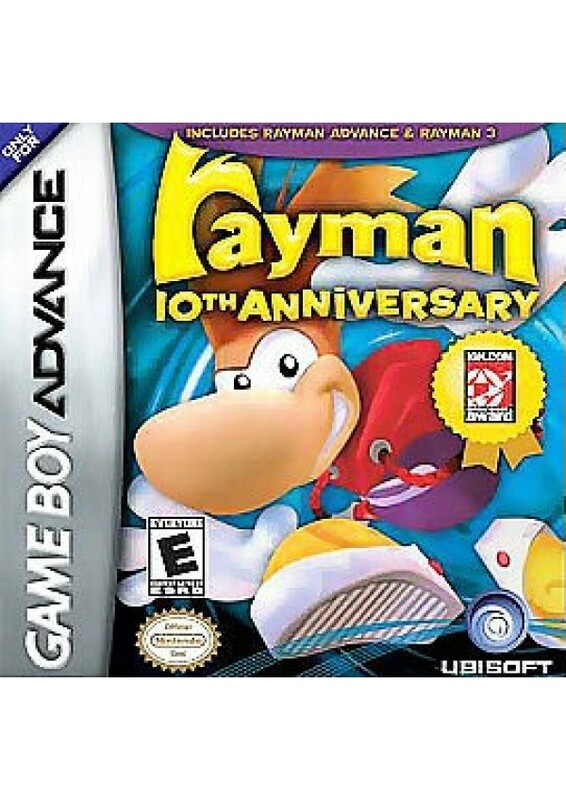 This compilation includes Rayman Advanced and Rayman 3. Rayman lives in a land called Protoons, and that peaceful existence is threatened when Mr. Dark kidnaps all of the other citizens. The kicker is that Rayman needs these fellow Protoons to keep his powers. Now, an armless and legless Rayman must find his way around the land, freeing those Protoons he comes across. Plus, with sixty different levels spread out over six worlds players will have no shortage of Rayman fun. In Rayman 3 the limbless hero must once again head out into an unwilling adventure as one of his friends, Globox, has disappeared. As in the first one, Rayman must freed imprisoned characters as they traverse through the fifty levels. If players find that they still want more Rayman action after they've finished the main story line they can use the multiplayer link to play in some different challenges.